Family Promise assists homeless families to get to a sustainable state with employment, housing, and other needed services. Our church hosted two families this past week with the help of caring volunteers. Diane Potter did a special project with one of the daughters. 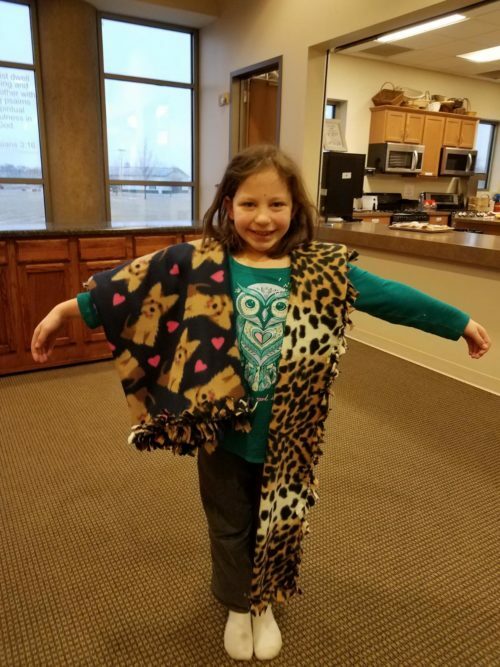 They made a special blanket and scarf for her! Family Promise of Linn County’s mission is to help homeless and low-income families achieve sustainable independence through compassionate care, hospitality and professional support. Cedar Hills partners with them as a host site to house families overnight and providing meals.